Hi Everyone! 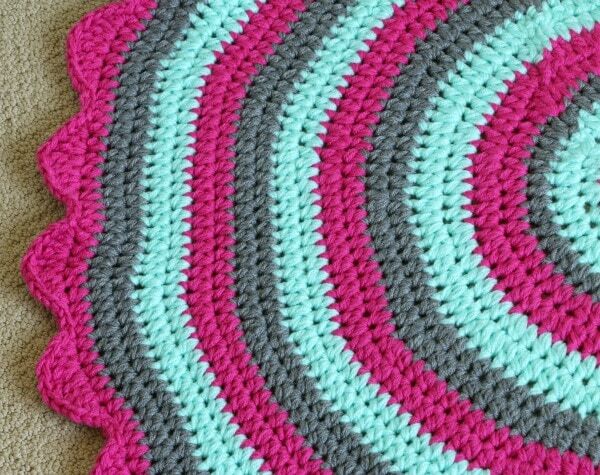 I am excited to share this crochet rug tutorial with you! My daughter is getting a little bedroom makeover and I decided to have this be one of the handmade things that I added in there. She LOVES it, she like to curl up on it with the puppy after school and play with her toys, it’s pretty cute. 9 balls of worsted weight yarn (Each color needs 3 balls). I used Red Heart Super Saver. I used an M hook, you can adjust this to your liking. I recommend not letting the stitches get too large. Take the 3 strands of yarn from your first color and using all 3 strands at once, start with a magic ring. Round 2: 2hdc in each stitch all the way around for a total of 24. Add new color if desired, slip stitch closed, ch 2. (I did 2 rounds for each color, you may modify that if you like). Trim first color leaving tails long enough to weave in. Round 3: 2hdc in the first stitch, hdc and repeat all the way around for a total of 36, slip stitch, ch 2. Round 4: 2hdc in the first stitch and then hdc 2 (2 next to each other NOT in the same stitch) and repeat for a total of 48 stitches. Add new color if desired, slip stitch and ch 2, trim yarn. Round 11 – I noticed some rippling beginning to occur. 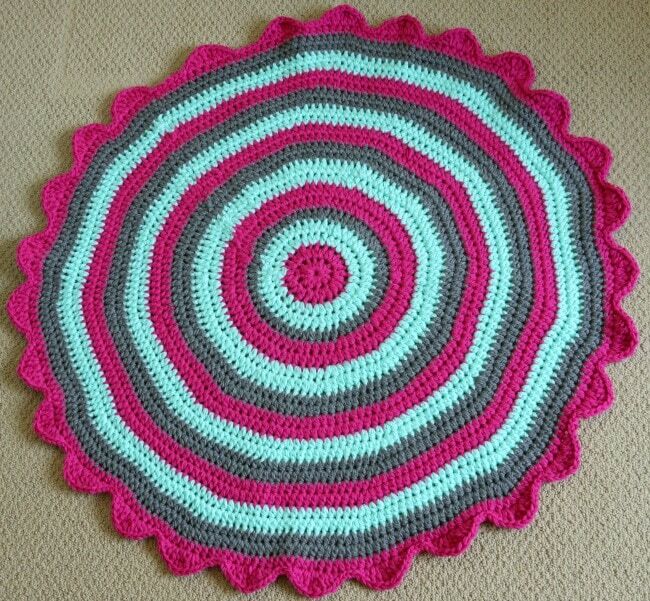 This is probably due to the fact that I tend to start out projects crocheting tightly and loosen up as I go. If this happens to you, I recommend doing 1 round of only 1 hdc in each stitch going all the way around to pull things in a bit and keep your numbers in order. Add 12 to each round and keep track of your numbers to help you. 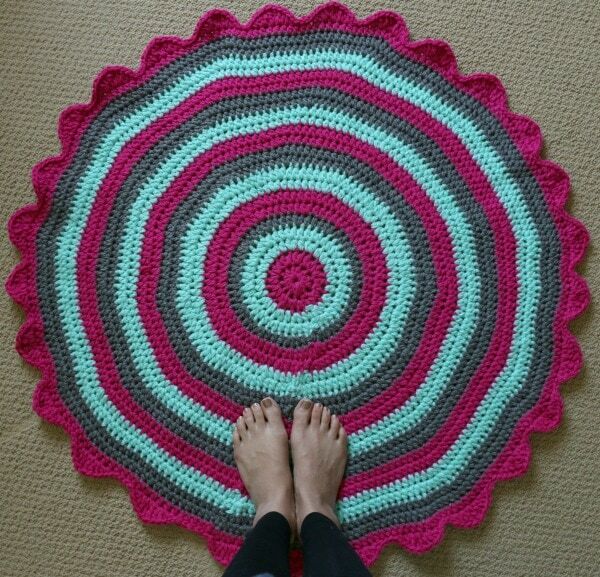 Continue following the pattern until you reach the desired size of rug or you run out of yarn. ch 1, sc and hdc in the first stitch. In the next stitch place 2dc. In the next stitch place 2tr stitches. In the next stitch place 2dc. In the next stitch place a hdc followed by a sc. Place 4 slip stitches in between petals. Each petal needs 5 stitches to be complete. I recommend taking a look at how many stitches you have on the last round you crocheted so that you can finish out the petals and not end the edging with only half a petal made. You can add or subtract those 4 slip stitches in between the petals to make your adjustment. 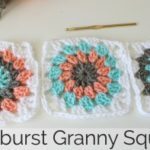 What do you think of my crochet rug tutorial? I love how cushy it turned out, should I make another one? Maybe a different shape? Let me know in the comments! Here is a full video tutorial for you as well! You had very clear instructions. Thank you. could you please, please do a crochet tutorial about half finger gloves! I’ve tried following so many tutorials and I am not able to crack it – would really appreciate it! Hi Melanie! I love this rug! 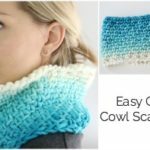 Quick question – do you count the chain 2 as a stitch? 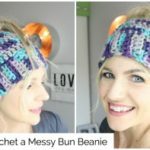 I couldn’t tell from the video or your pattern instructions. 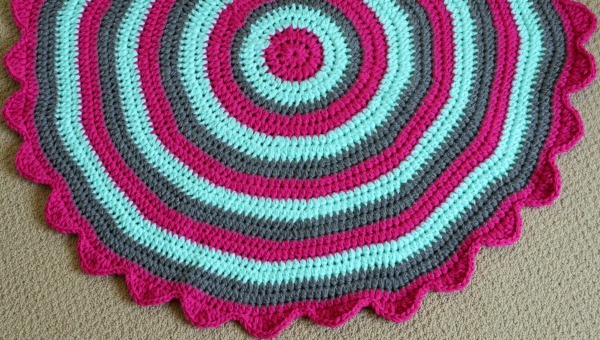 That part always confuses me about crocheting in the round; some people count it and some do not. Thanks! I can’t wait to make this! 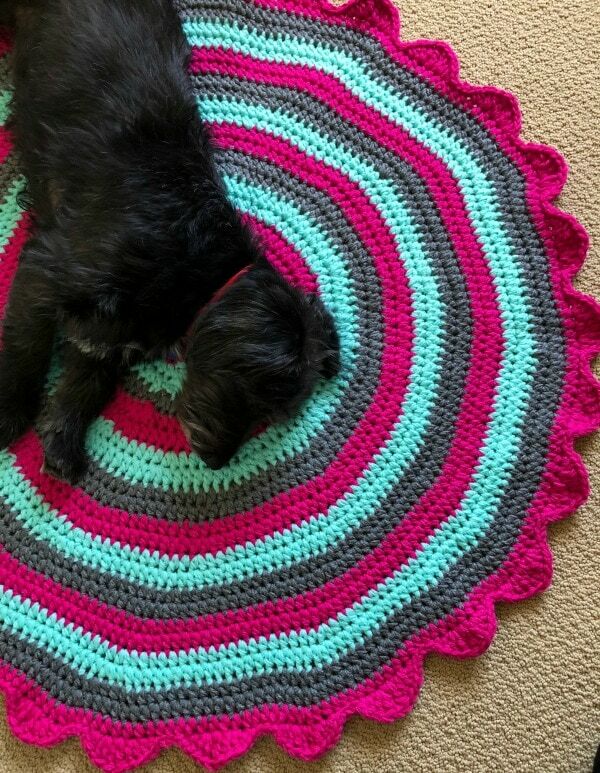 My mom has been after me to crochet a rug for her and I told her I would once you came out with a pattern! it’s lovely, gonna do that one soon!